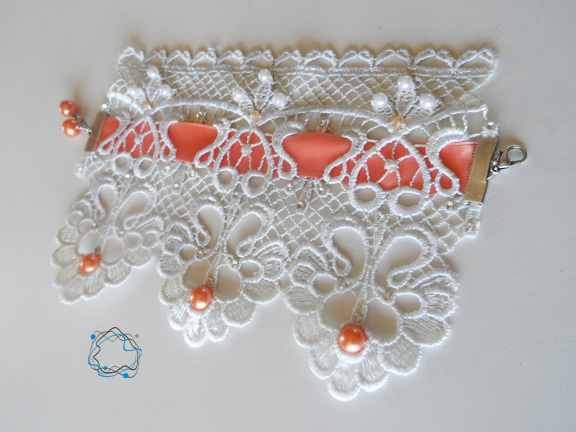 Romantic white lace bracelet with salmon ribbon, crystals and pearls. 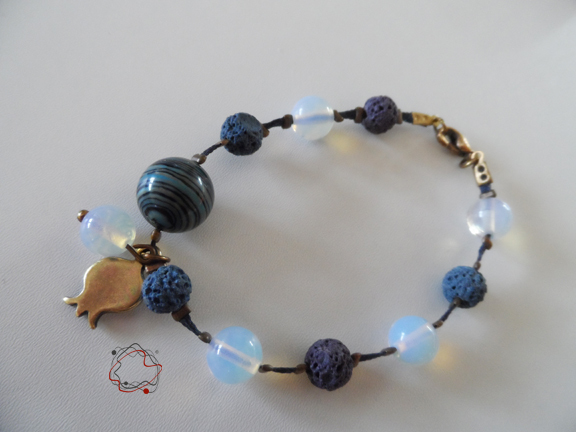 Moonstone, wight coral, lapis bracelet and handmade tassel with dolphin charm. 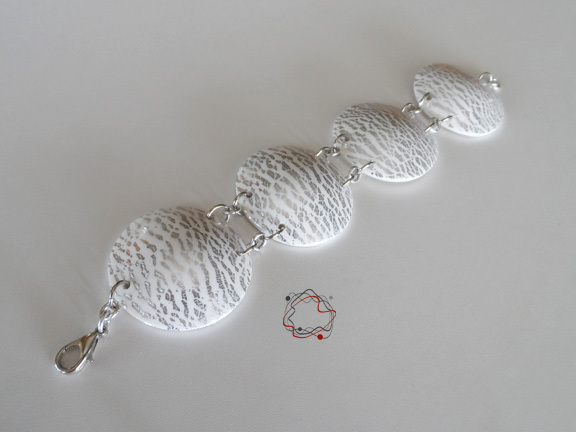 Double macrame - steel chain bracelet with moonstone, hart & handmade tassel. 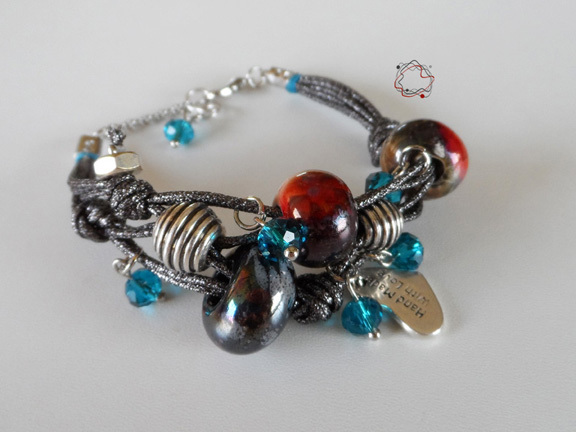 Double macrame - steel chain bracelet with square charm, handmade tassel, beads & crystal. 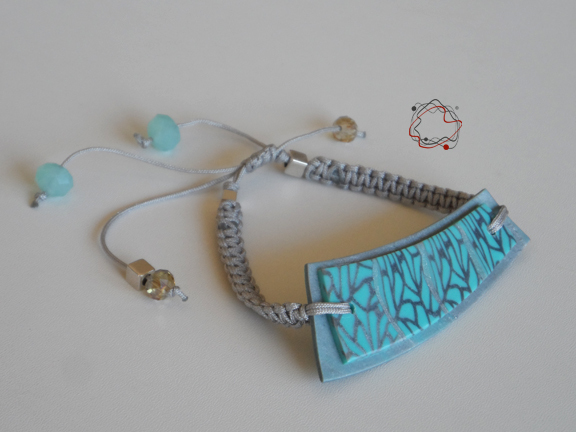 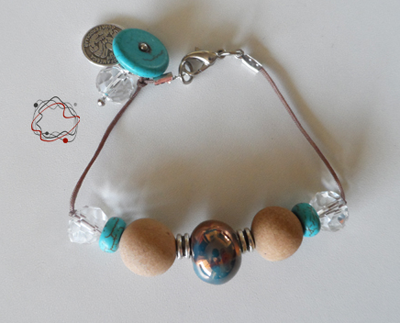 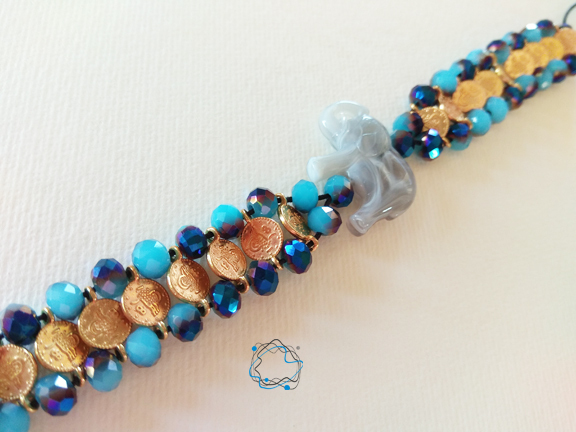 Bracelet with metallic cord, ceramic beads, crystals and silver details. 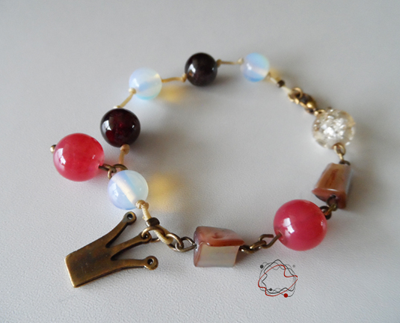 Ivory, garnet, moonstone and crown charm. 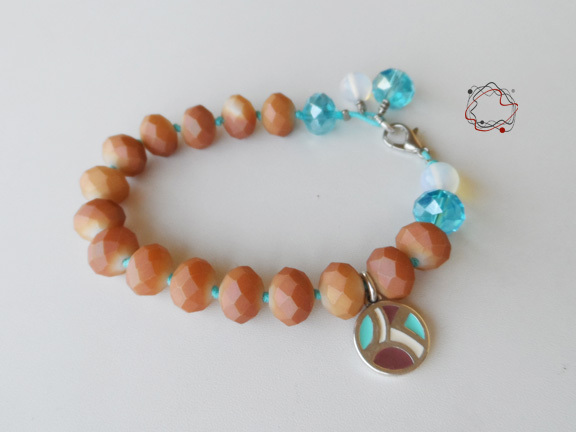 Brown crystal bracelet with moonston & Modern Charm. 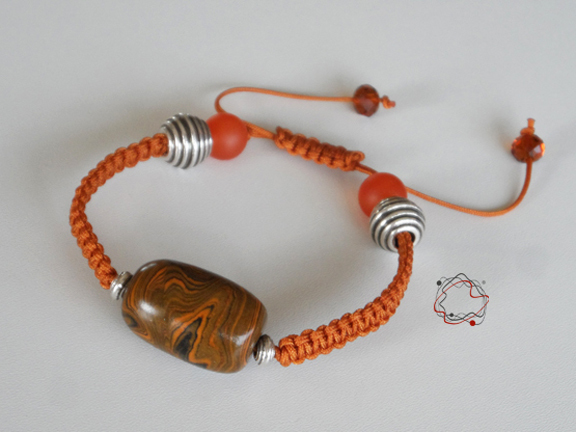 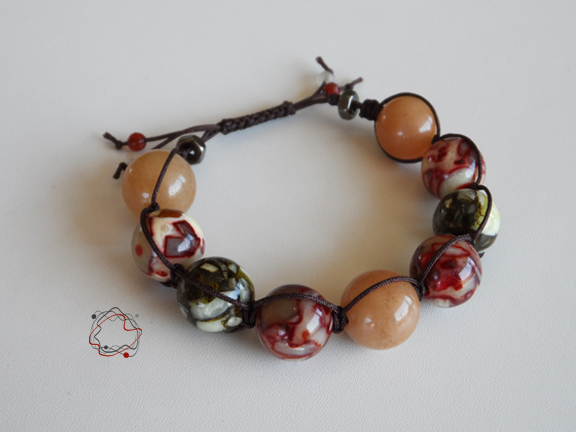 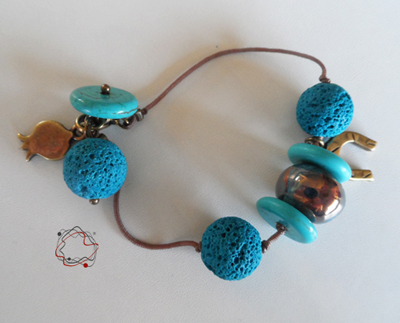 Semiprecious stones, lava, ceramic beads and fine details. 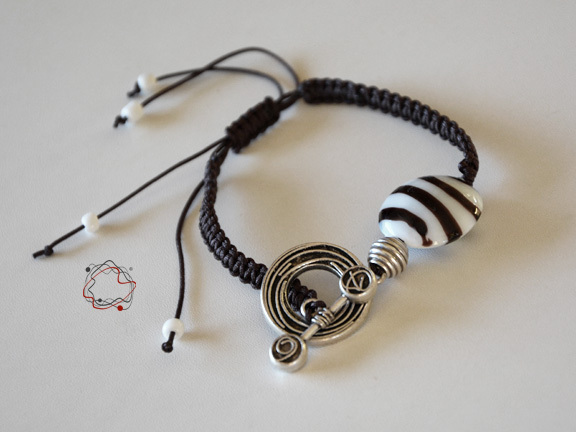 Brown macrame bracelet with silver clasp charm and glass bead.